Pensacola Eats: Scenic 90 Cafe — What Is She Wehring? Last week, I stumbled upon one of the cutest local spots! If you are fan of 50s diners, you MUST make a stop here! The diner is located on the Scenic Hwy 90 (hence the name: Scenic 90 Cafe) which is a little out of the way of all the other touristy attractions. I think this is what makes this little restaurant so desirable to locals. 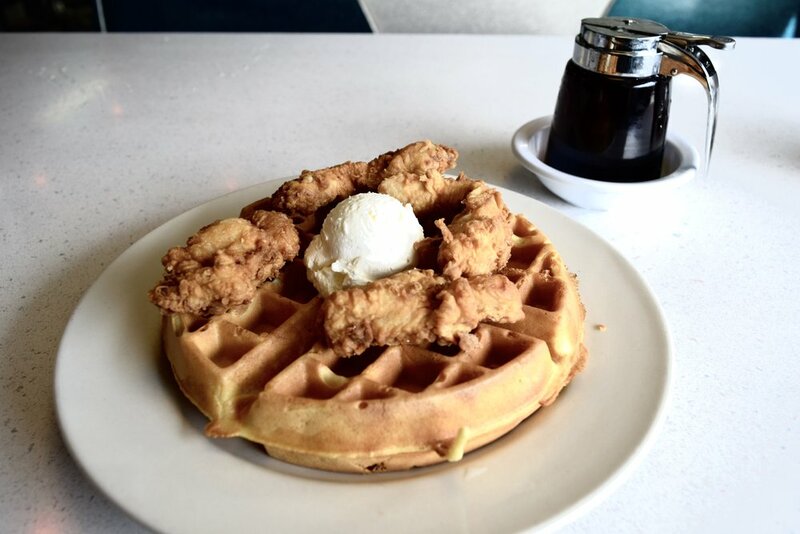 I just had a cup of coffee with my chicken and waffles. It was absolutely delicious and I ate every bit. This is saying a lot since I am a very picky eater, ESPECIALLY with meat. (I like all white meat chicken with no veins or fat...I may or may not be a princess about my food) It was super filling which was great but also a disappointment since I didn't have enough room for the tasty looking pies displayed in the fridge behind the bar. Well, I guess that's a good enough reason to head back soon! 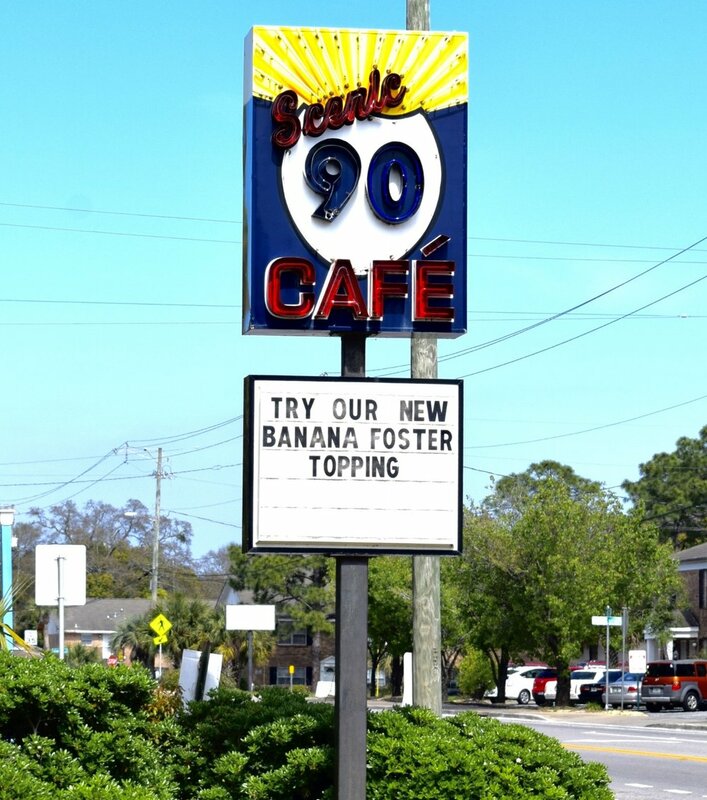 If you are local to the Pensacola area and have visited the Scenic 90 Cafe, feel free to share your experiences! If you haven't been, make sure to add that to the list of restaurants you need to try out.